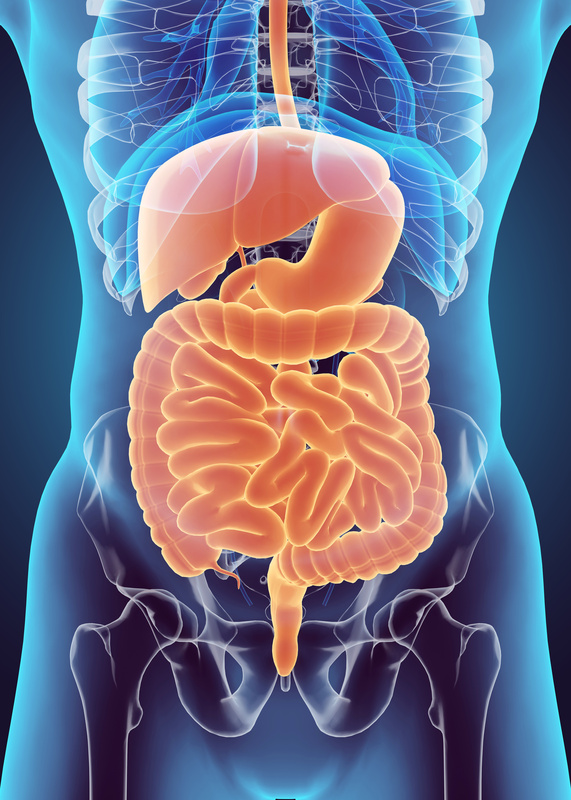 In this video, Dr. Huntoon discusses digestive issues, the underlying cause of these concerns and what you need to know if you are going to overcome yours. Digestive Concerns, like Celiac Disease, are a source of many destroyed lives. Do not let your condition control your life. Do not give up and accept your condition because your Doctor has made you believe there is nothing that can be done. There is ALWAYS things that can be done. If you are ready to address your Digestive Problems, give us a call and we will help you. When the villi are injured, the small intestine can’t properly absorb nutrients from food. Eventually, this can lead to malnourishment, as well as loss of bone density, miscarriages, infertility-- even to the start of neurological diseases, or certain cancers. Your Medical Doctor will tell you that Celiac disease isn’t the same thing as a food allergy, so the symptoms will differ. Read Dr. Huntoon's Alternative Medical Treatment Options below for a different perspective. Not everyone with celiac disease will have all of these symptoms. And some people have no problems at all, which makes diagnosis very difficult. Digestive symptoms have many possible underlying causes. Looking for the underlying CAUSAL RELATIONSHIPS becomes paramount. In the case of Celiac Disease, having a sensitivity/allergy to Gluten is the major contributor to this condition. There are no drugs that treat Celiac Disease. You’ll need to go on a strict gluten-free diet. In addition to staying away from bread, cake, and other baked goods, you'll also need to avoid beer, pasta, cereals, and even some toothpastes, medications, and other products that contain gluten. If you have a severe nutritional deficiencies, your doctor may have you take gluten-free vitamins and mineral supplements and will prescribe medication if you have a skin rash. Simply avoiding gluten and all the products it is in will not be a solution. It is also quite difficult to lead a normal life in our grain abundant society. Read Dr. Huntoon's Alternative Medical Treatment Options and consider what it says. Dr. Huntoon has quite the track record at helping people overcome their digestive problems. He specializes in helping SOLVE these challenging health imbalances by addressing the CAUSATIVE factors associated with your digestive concerns by looking at the 7 Pillars of Health. Early on in his career, Dr. Huntoon was introduced to a lovely young girl who was 4 years old and was quite malnourished. Her mom told him that her daughter was suffering from Celiac Disease and had been through all the Medical Tests to confirm the diagnosis. She was well below the "growth chart" standards for someone her age, and the Medical Doctors could only offer her a restrictive diet. Her mom was not happy with that, as she was already malnourished. Dr. Huntoon did find that she did have a gluten allergy, some dysbiosis and other food sensitivities. She was placed on a very specific treatment program designed to eliminate the gluten sensitivity, eliminate her other food sensitivities and restore her digestive flora. Also discussed was the importance of taking probiotics, digestive enzymes and eating healthy, real food, while staying away from the Completely Refined And Processed (CRAP) Foods. Over the course of a few months, she stopped her issues with gluten, she gained weight and she returned to a normal functioning healthy young lady. When her mom took her to see her Medical Doctor, the doctor said she didn't have Celiac Disease and could not have had Celiac Disease because that does not get better and her villi in her small intestine looked healthy. When you are truly ready to address your concern fully, please call Dr. Huntoon for your consultation and examination. "Dr. Huntoon always explains in depth what is going on wrong with your body. I have Crohn's Disease and Dr. Huntoon helped me feel better and got my body back in the norm. Something the Medical Doctors couldn't do. If you have any health problems he is the man to see." Working closely with a Holistic Chiropractor can help you develop a well-rounded, multifaceted approach to addressing your digestive concerns and cravings. With proper treatment many of the causes of digestive discomfort can be eliminated. Also consider working with an Acupuncturist, Homeopath or Naturopath to develop a lifestyle that can support and manage your digestive problems. Finally developing a healthy life-style with proper guidance from your Holistic Chiropractor is the best prevention. Asking questions about what you can do to develop a Preventative mindset is important. Dr. Huntoon has a proven track record of fixing this concern. We do not treat it, we fix the problem. Using Natural Allergy Solutions specific to gluten and other digestive system provokers, we have been able to eliminate the underlying CAUSE of this challenging concern. With ALL digestive problems, proper prevention is much more effective than trying to cure the damage after the fact. Working towards removing your Digestive System Disruptors and healing your Leaky Gut Syndrome will go a long way towards addressing that. Always be mindful of eating a proper nutritionally balanced diet everyday while minimizing foods that upset your system. Dr. Huntoon offers classes on this topic for your consideration. Drinking plenty of water is vital to stay hydrated, as dehydration can also cause or worsen digestive problems. Avoid unhealthy foods, or foods that are known to cause problems with your system. If you are on, or about to start antibiotic therapy speak with your Holistic Chiropractor for advice on a proper probiotic regimen. A probiotic regimen will help prevent or alleviate digestive problems stemming from the effects of antibiotics on your system.